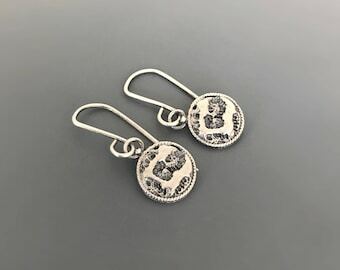 * Offered here is an intricately detailed and gorgeous sterling silver dangle earrings.It is very rewarding for me to see a design born and come to fruition from a drawing. 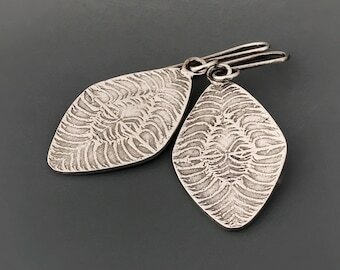 I am making a series of jewelry designs based on textures made out of my nature inspired drawings. 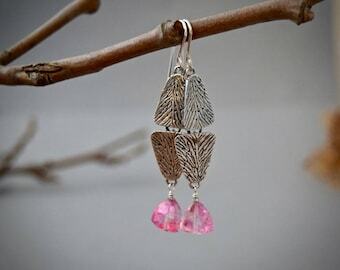 They are really beautiful with an almond shape and lovely shimmer! These are totally flattering and comfortable to wear! 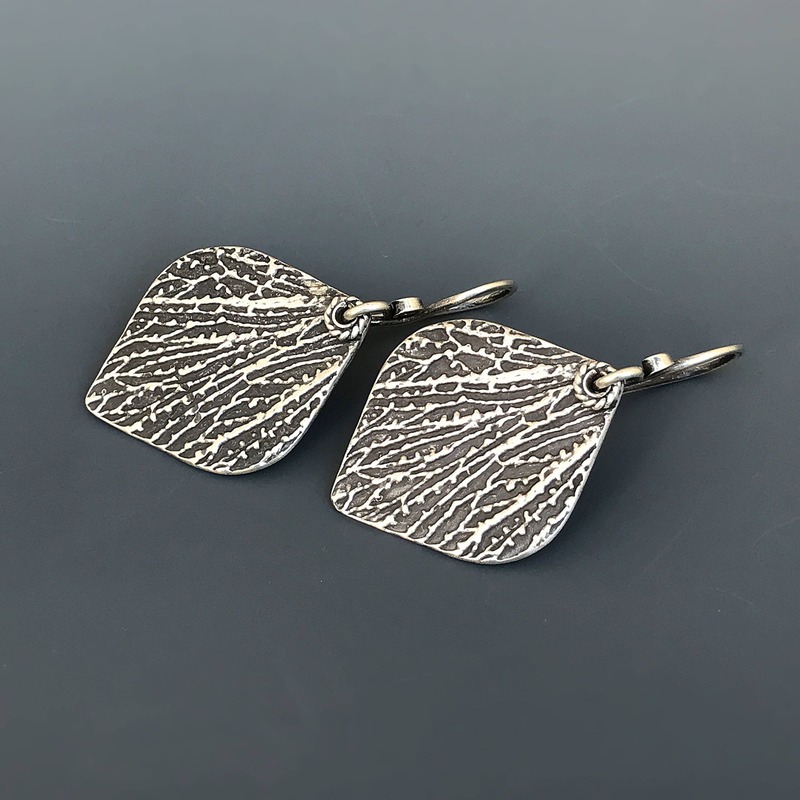 Available in both oxidized and bright silver, please specify your preference in order note. * This pair is offered in bright and oxidized silver. 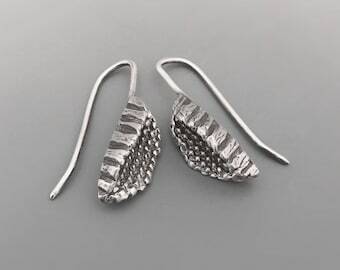 * Earwires on these are 19 gauge handforged sterling silver.